Our Neighbourhood Forum was set up in November 2016 as a result of the announced sale of Chetwynd Barracks. 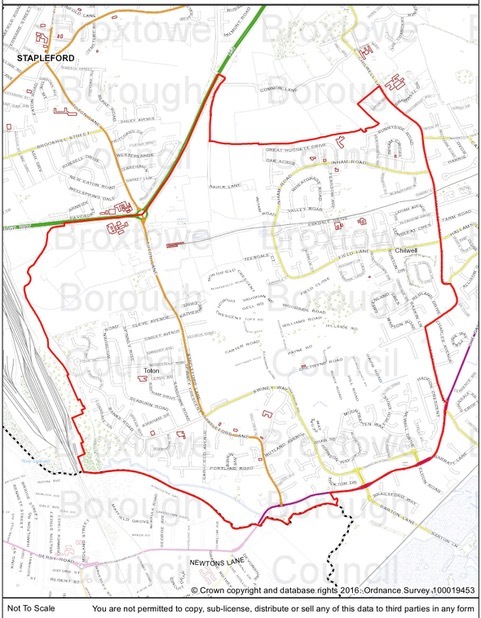 Since then we have attracted almost 550 registered members to the Forum and managed to secure funds to undertake some of the activities needed to develop our Neighbourhood Plan. The Forum has a designated area which defines where we are concerned about. It includes the wards of Toton & Chilwell Meadows and Chilwell West. A detailed map is here. Have a browse around the site and if you haven’t yet joined us, please sign up!